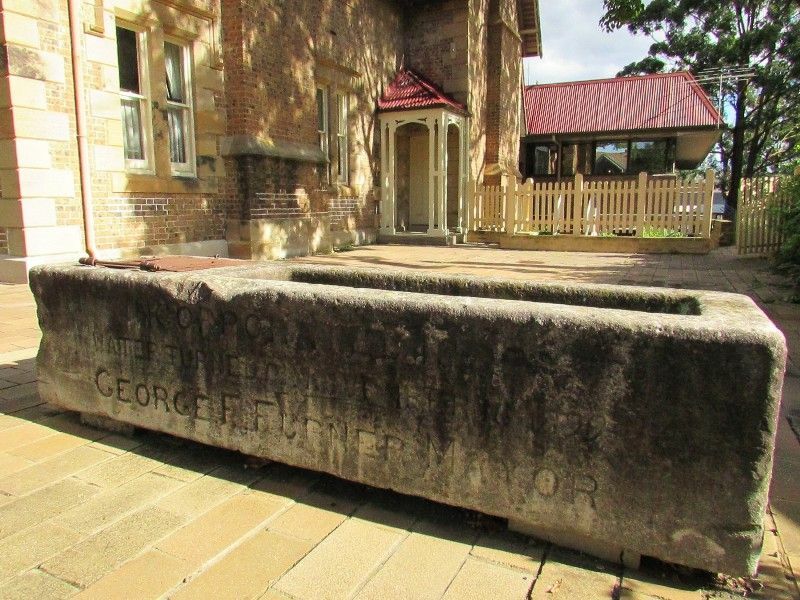 Two memorial horse troughs were erected and placed at either end of Argyle Street to commemorate the turning on of the water supply on the 16th November 1899. The Camden Historical Society moved the troughs to their present positions outside the Council Offices in Camden and to the Showgrounds at Onslow Park. Much local enthusiasm was exhibited yesterday afternoon on account of the first turning on of a public water supply for Camden. 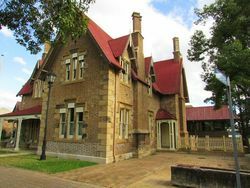 The Mayor, Alderman G. F. Furner, and the aldermen received the president and the members of the Water and Sewerage Board. At the junction of Argyle and John streets the engineer turned on the water, demonstrating that there was a great pressure, a stream being thrown as high as the highest building in Camden. The water is supplied to a special reservoir adjacent to the main Sydney supply. The Mayor of Camden, in the absence of the Mayoress, declared the supply open. The Sydney Morning Herald (NSW), 17 November 1899. 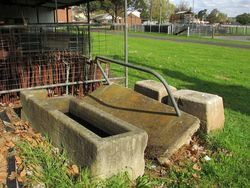 Note: The trough at the Showgrounds was damaged by a truck and is now sitting beside a storage shed at the Showgrounds.